Good evening! Yeah, I planned to hit publish this morning, I was going to write this lovely intro on the train on my way to Baldock for my L3 PT workshop and then set it loose into the world. Except at 3am I realised that my workshop wasn’t actually in Baldock, it was in Stevenage, and that I’d booked all the wrong trains. I sorted it out, then failed to get any further sleep meaning that all thoughts of remembering to do this completely exited my brain till about 4pm as I was LEAVING my workshop. I am currently on a train to Norwich, utterly brain dead and looking forward to an evening in front of the fire with a glass of wine. But first, this week I…. For quite a while Mr LLL has been saying he’d love to try out one of those float pods. You know the ones where you lay in the dark floating in salt water? For Christmas Float Norwich had a special offer, where if you bought a voucher for 3 floats, you got a bonus free float for yourself. So I booked it, and on New Years Eve we both headed off to see what floating around in the dark felt like. First we had a few minutes in a huge, slightly terrifying, massage chair. Your legs and arms are tucked into booties and that roll and pummel you into relaxation. I liked it, but I can understand how some people might find the pressure a bit intense, but you can turn it down, if you can disentangle your arms from the chair. Then we were shown to our “Pod room” which made me feel a bit like I was about to be connected to the Matrix and become a Pod person. 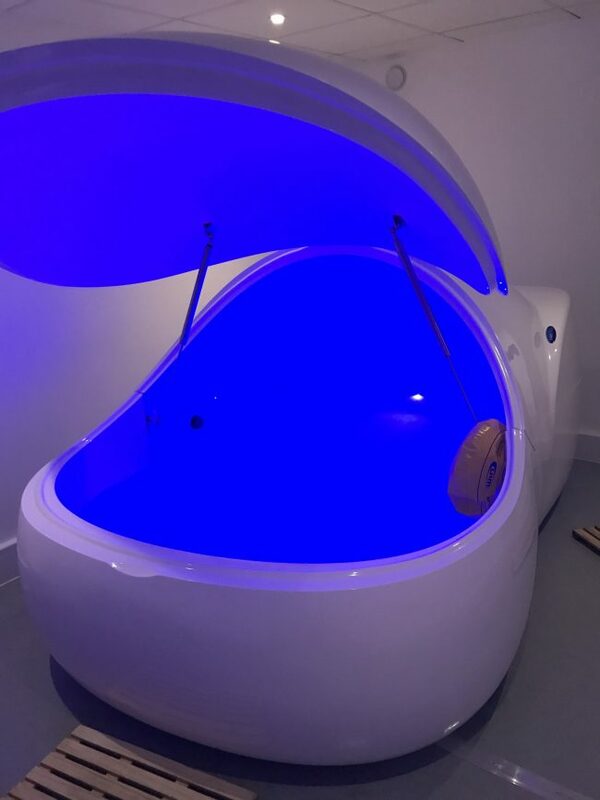 In the Pod room you can lock the door and make it your own, there’s a shower to use before and after your float, then you step into the giant pod and close the lid. You can keep the twinkly lights on or off, and then you just, well float. To start with there was some wave noises, then about 25 minutes of silence before the waves start again to wake you up and notify you it’s time to depod, shower, and return to normal life. Honestly the floating was quite intense, it felt a little surreal, floating in darkness. The water is loaded with Epsom salts so you can’t sink and you just kind of drift. I would absolutely love to do it again, and am trying to convince myself that £55 a month for their 2 float club wouldn’t be a massive indulgence (it totally would). I floated back out into the world feeling totally Zen, right up until I spent 10 minutes in Iceland on New Years Eve and then it came dangerously close to ruining my vibe. Because going out on New Years Eve has become sigificantly less appealing since I realised I could buy a bottle of Champagne and some really nice food for the cost of just one New Years Eve party ticket and I wouldn’t have to queue for the bar. I honestly couldn’t think of a much better way to start 2019 than taking the Pugs for a long walk to the park and having Brunch. It was a lovely bright, fresh, morning, I ate avocado on toast and the Pugs stared at us while we ate. 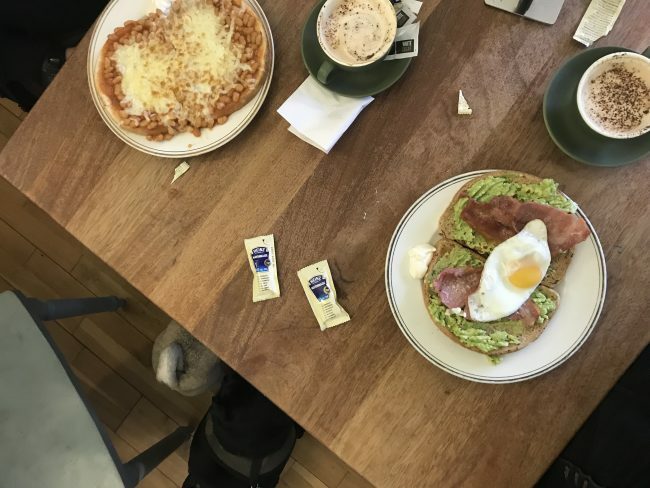 I spent quite some time lining up this photo so that you could see both our food and the Pugs staring at us longing up from the side of the table. Then the minute I pressed the button they both moved. Another New Years Day tradition is that we watch the World’s Strongest Man Final and order a Chinese takeaway. Last Year we did this and promptly got food poisoning. I can’t say for sure that it was the takeaway that poisoned us, but this year when we noticed that the only takeaway delivering was that one we decided to give it a miss. The Chinese at the end of our road was open, so we walked down and collected our food on the basis that if they haven’t poisoned us all year it would be pretty bad luck for them to do it on New Years Day for the second year in a row. You will, I am sure, be glad to know that no poisoning happened and therefore 2019 is already off to a far better start than last year. We watched World’s Strongest Man, marvelled at Terry Hollands weight loss, laughed at Thors drama queen tendencies and generally had a jolly lovely evening to start the year. I haven’t been for an actual run since I sprained my ankle back in October. The strength in the ankle is mostly back, though it’s still a bit stiff, but I’d started to feel really nervous about running. I don’t know why. 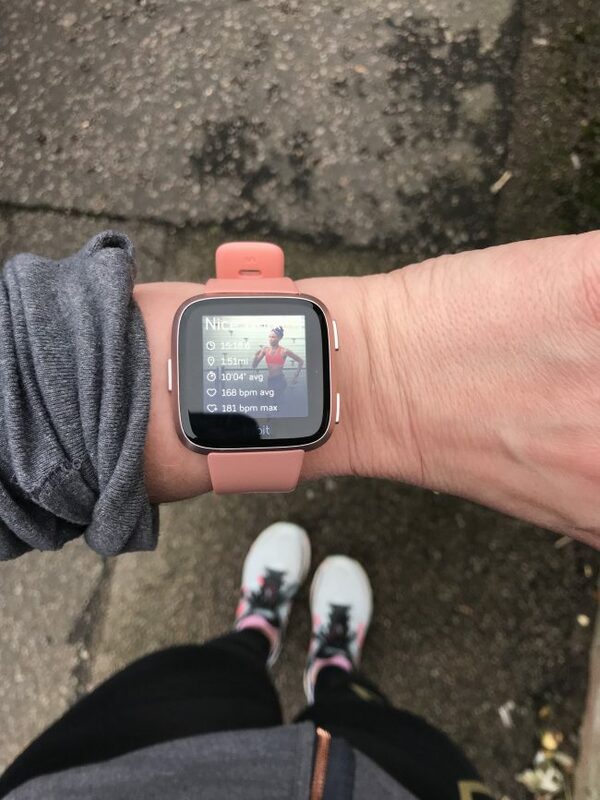 So, even though I’d gone back to the gym and had DOMS so bad I couldn’t walk downstairs I decided to just go out and run a mile to prove to myself that it wasn’t so bad after all. Well, it kind of was so bad. It was very chilly and I had the snotty ends of a cold, so my lungs were burning. But I ran 1.5 miles and, I didn’t die, so now I can just get over it and crack on getting back into shape for the coming season. Because dry January is for suckers and I can’t think of a worse month to suddenly decide I can’t enjoy a nice glass of wine with my dinner, or salted caramel Irish Cream in front of the TV. The best time of year to buy this stuff is just after Christmas, and our house now has 5 different varieties of Irish Cream in it, all bought absurdly discounted at Aldi after Christmas. 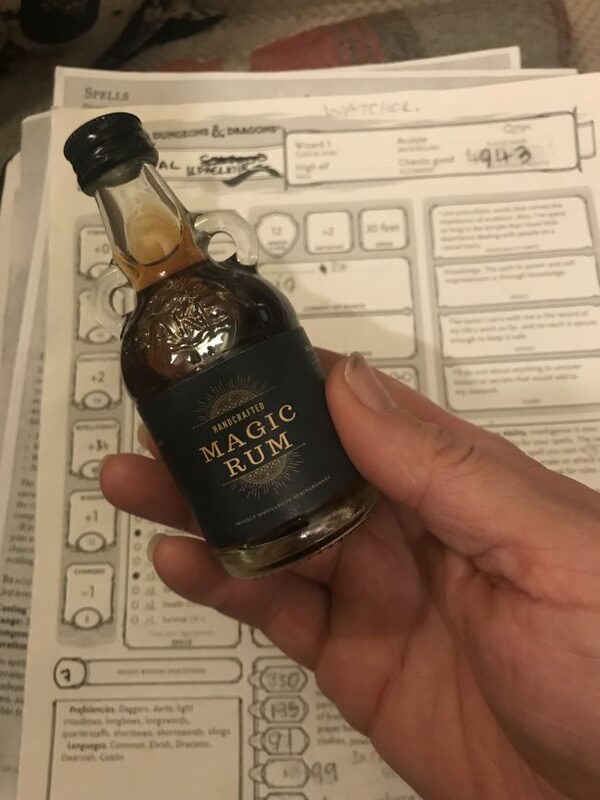 It tastes even better when it was less than £3 a bottle, and salted caramel flavour is a revelation. I recommend you go buy some immediately. It is Christmas and we just bought a new microwave (why didn’t THAT get a heading? It’s this one, it’s pretty and shiny, and not rusty like the old one), so the house is full of boxes that won’t fit in the recycling bin yet. Apparently Pugs like to sit in them, so we’ve added some blankets. 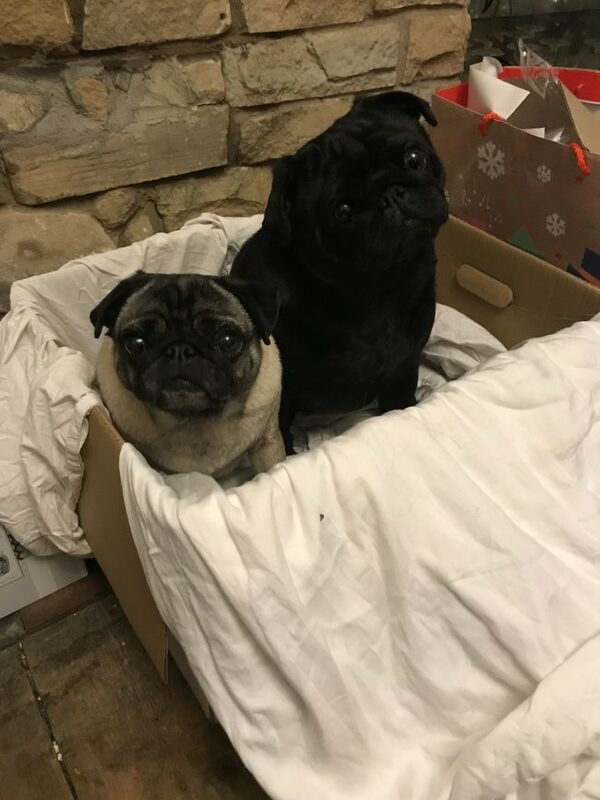 Basically this is here so I can post this picture of the Pugs looking cute in a box. And that was how 2019 started for me.